Filing Bankruptcy can seem frightening. Our Creek County bankruptcy attorneys understand this, and have the experience to help you through it. Our attorneys have handled hundreds of bankruptcy cases. In fact, over 1,100 bankruptcy cases have been filed by our Creek County bankruptcy attorneys. Most if not all of our clients received 100% forgiveness of their unsecured debts. This total debt forgiveness depends on either filing a Chapter 7 or Chapter 13 bankruptcy. We help clients file both Chapter 7 and Chapter 13 bankruptcy. In a Chapter 7, most of your unsecured debts are forgiven. This is the preferred method of filing bankruptcy but not everyone qualifies. In the event that you don’t qualify for a chapter 7 you may still file a chapter 13. Although it may be difficult to recognize at first, there are some major benefits to filing a Creek County bankruptcy. For one, it either forgives your debts or gives you a detailed restructuring plan. It also stops creditors from making harassing phone calls, and upon filing immediately stops any garnishments to payroll checks. This all helps re-establish your finances and reset your life. It is common in Oklahoma that missing one payment period can cause a series of financial battles. These battles eventually culminate into an unmanageable sum including fines, late fees, higher interest rates, and more. This cycle can continue incessantly, resulting in repossessions or foreclosures. Finally, creditors will put a garnishment on your paycheck. Filing bankruptcy can end this cycle and allow for a new beginning financially. If you feel bankruptcy is an option, but still have some questions about using it for your situation, call us. Our first consultation is free, so we can help determine if bankruptcy is right for you. This will involve some questions to make sure you are qualified to undergo a bankruptcy. After you qualify and decide bankruptcy is the path you want to take, we will walk you through the steps. These include determining the correct type of bankruptcy to file, and the creation of a plan of action. You will do minimal work in this process. We will ask for a detailed look at your income and household expenses, and then require you to complete a homework packet. This packet takes a short amount of time and can be completed in one evening. After this, the rest of the work is left up to us. We will complete your filing and let you know when you need to sign any documents finalizing the paperwork. So we are there to support you in each step of the process. 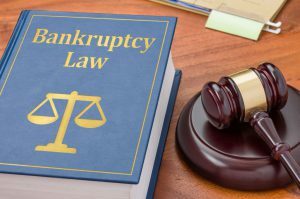 Our Creek County bankruptcy attorneys explain that many people feel ashamed of filing bankruptcy. The same people dont alwsy realize the relief they get upon filing. There is no shame in recognizing that you’re under crushing financial hardships. In fact, millions of bankruptcy cases travel through the legal system annually. An estimated 1.7 million cases file each year. Further, the noticeable change in our clients before they file and after they file is impossible to ignore. Clients come in carrying the burden of a vicious debt cycle. However, we have witnessed them leaving as a completely changed individual. They often leave with hope and a sunny outlook for their financial future. Thus, if you are considering bankruptcy, don’t feel alone. We are happy to support you through this stage of life and the entire filing process. We will be there in each step, making sure you understand what is happening and where you are in the filing process. In Oklahoma bankruptcy law, the most notable change occurred in 2005. This required a client to pass a “means test” in order to qualify for a Chapter 7. You may be wondering what a means test is. A means test is a test that shows whether your income is above or below the average family income for your family size. If it is above the median income, you will be ineligible for a Chapter 7 and have to file a Chapter 13 instead. Otherwise, most other debts like medical, credit card, repossession, foreclosure, and cash judgments are still dis-chargeable. If you’re suffering from wage garnishments, repossessions, foreclosure and the constant pressure from debt collectors, bankruptcy may be right for you. Don’t go it alone and don’t continue to suffer. Creek County bankruptcy is a wonderful solution to financial freedom. Call today and get a free consultation with a bankruptcy attorney.